Mare Nostrum News: Was Cleopatra (really) beautiful? Cleopatra - or rather Cleopatra VII Philopator – lived from 69 until 30 BC. She was and still is renowned for her outstanding beauty, but what does history say about that claim to fame? Simply based on her famous seduction of both Julius Caesar and Mark Antony, both powerful Roman leaders, Cleaopatra must have had some redeeming features. But what did she really look like? Is there any solid basis to the claims of unparalleled physical beauty? The first problem we encounter is that no contemporary accounts have survived. 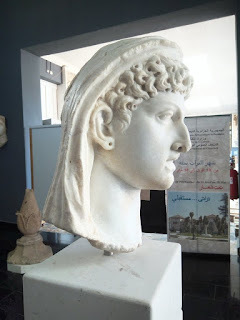 And, even now, after centuries of archeaology, there are no busts that can be reliably attributed to Cleopatra. 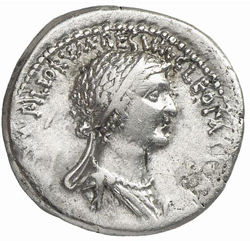 But we do have various images of her surviving on ancient coinage. In these images, she is depicted as anywhere from average-looking to hook-nosed and manly. However, it must be remembered that coins in the ancient world were a powerful piece of political propaganda. 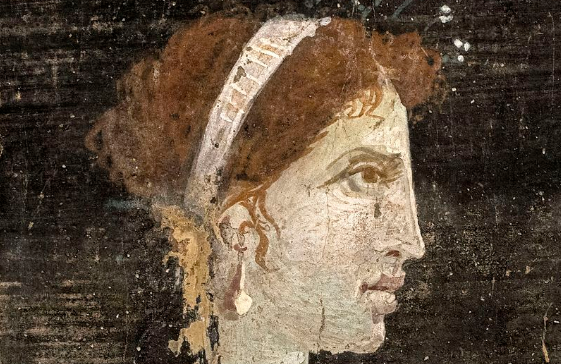 The deliberate portrayal of Cleopatra with masculine features not dissimilar to her ancestral male rulers the Ptolemies was not an attempt to capture a true likeness, but rather to help legitimise the rule of a young female queen. The Greek historian Plutarch (circa 46 AD-120 AD), writing more than a century later, maintains that "her beauty… was in itself not altogether incomparable, nor such as to strike those who saw her." Another century later, the Roman historian Cassius Dio (155-235 AD) describes Cleopatra as "a woman of surpassing beauty" who was "brilliant to look upon". As neither are contemporary accounts, there is no good reason to believe any of these writers, who might have had ulterior motives to glorify Roman history and its past Ceasars. It is also important to keep in mind that ancient ideals of beauty were quite different to those of the modern Western world. Remember the use by Cleopatra of the poisonous atropine from the Egyptian henbane to dilate her pupils, hoping that she would appear more alluring. Or take the use of toxic kohl eye makeup in ancient Egypt. Recent scientific research suggests that galena, the lead-based mineral that formed its base, would have had anti-bacterial properties when mixed with moisture from the eyes. So, we simply do not know how beautiful Cleopatra really was, but she was young and was a woman in a powerful position. That alone would make her attractive to both Caesar and Antony, who were known to be notorious womanisers and would surely not have fallen for Cleopatra on the basis of beauty alone.